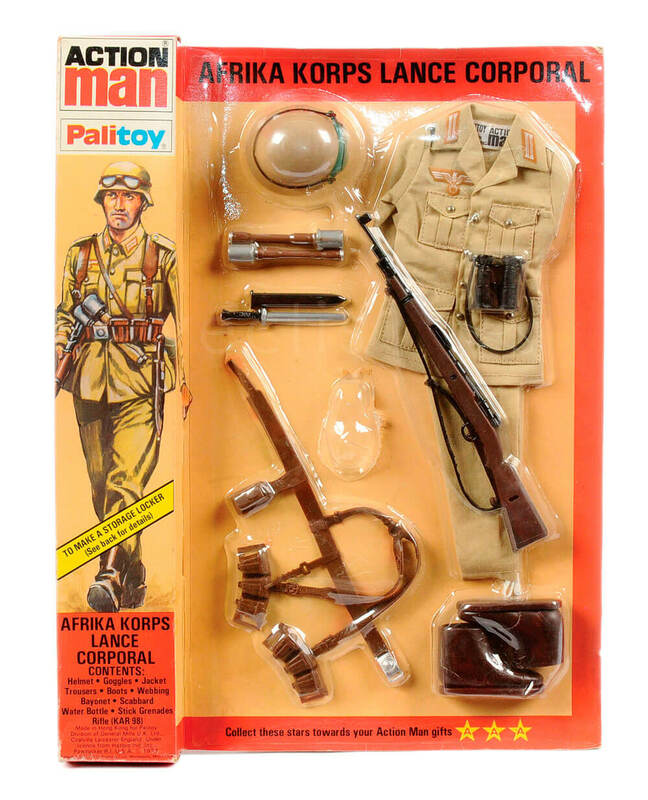 The 1979 Internationals range's 'Afrika Korps' (Africa Corps) basic uniform was further enhanced and repackaged as an 'Afrika Korps Lance Corporal' in 1980. The enhanced set included DAK webbing and a helmet and other accessories. 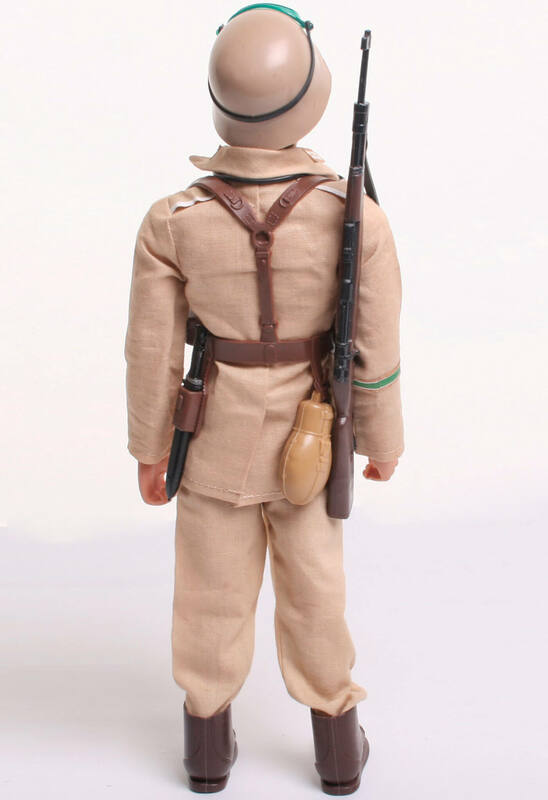 ACTION MAN AFRIKA KORPS LANCE CORPORAL UNIFORM: Shirt, trousers, helmet, goggles, binoculars, webbing, bayonet, scabbard, boots, KAR 98 rifle, water bottle, stick grenades x 2. 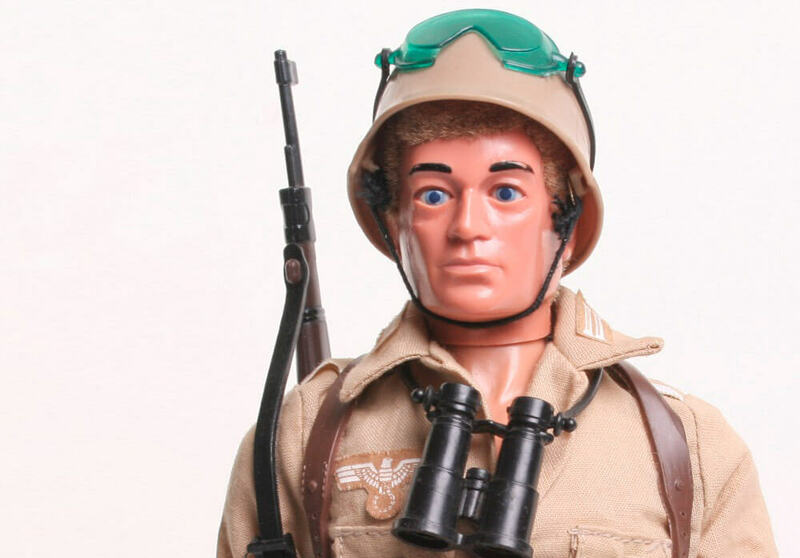 The Action Man Afrika Korps outfit from the Internationals range was a basic uniform that needed further accessorisation to give it play value. 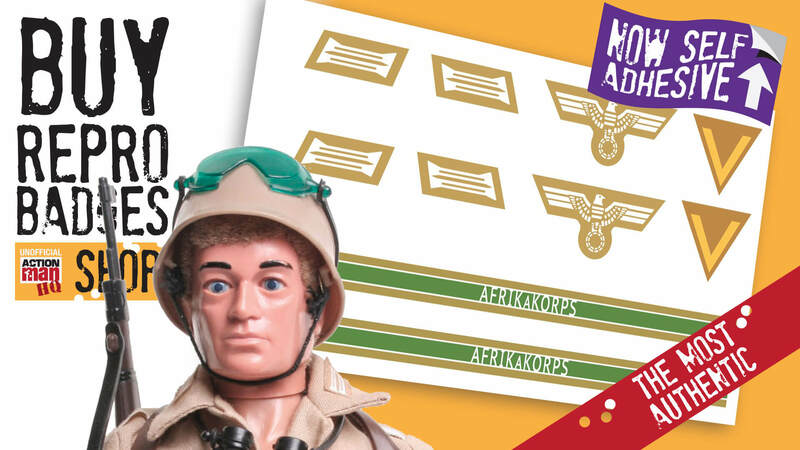 The answer was the Afrika Korps Lance Corporal (from 1980) features corporal stripes on the sleeve, and has a full range of equipment, webbing and a DAK helmet too. The helmet did not have a badge like previous incarnations. The short boots were brown, and the bayonet scabbard was of pointed end with a round pip design. 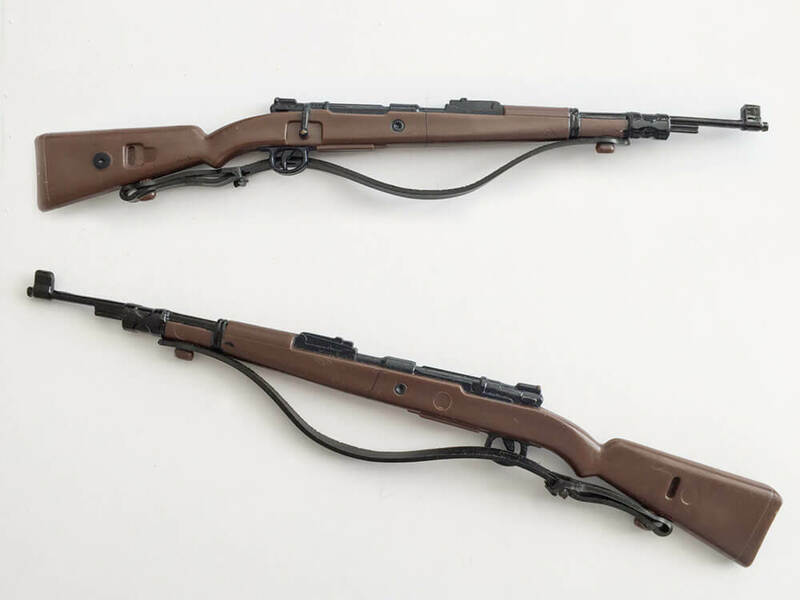 The bayonet wad a rounded end. The Internationals Afrika Korps International uniform had a DAK cap. 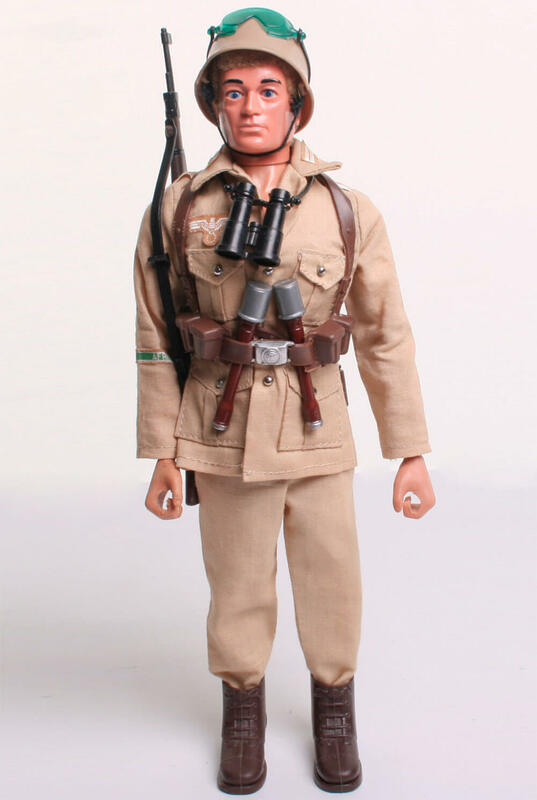 The 'current' Action Man in 1980 was the dynamic body Eagle Eyes figure. 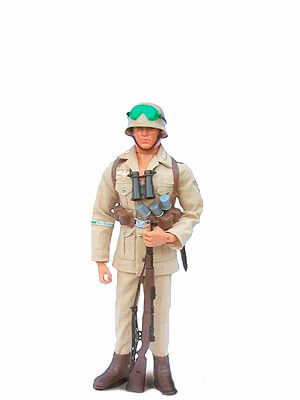 The Lance Corporal was produced for the 40th Anniversary sets. The lightweight uniform is prone to losing its silk like badges (buy Afrika Korps badge replacements here).